Afghan soldiers at their graduation ceremony in Arpil. WASHINGTON — It is challenging enough that the war in Afghanistan has gone on for almost 17 years. But now the Trump administration is raising hackles in Congress by cloaking in official secrecy an unusual amount of data about the longest armed conflict in American history, including, until very recently, the dwindling size of the beleaguered Afghan military. But just as the Pentagon began sending thousands more troops to Afghanistan, it also began classifying key war metrics it had previously made public. That included ways of measuring the success or failure of America’s mission: training and funding the Afghan military so it can beat back the Taliban and other insurgents. The latest report by John Sopko, the special inspector general for Afghanistan reconstruction — who objected strongly to the new program of secrecy and pried some of the data out of US military leaders in Afghanistan — contained some worrisome figures. Afghan troops shrank by about 36,000, to 296,409 from January 2017 to January 2018. Taliban and other insurgents increased their territory from 11 percent to 14.5 percent of the country over the same period. Multiple terror attacks in April killed dozens in Kabul, with the Islamic State claiming credit. Meanwhile, the Trump administration still is refusing to disclose the number of Afghan military personnel dying in action, or those deciding to leave their jobs. 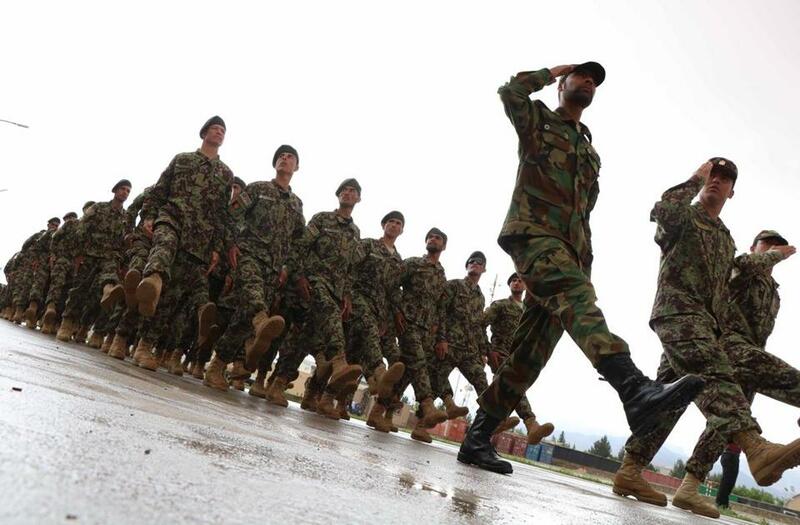 Detailed performance assessments of Afghan troops also remain classified. Representative Stephen Lynch, the South Boston Democrat who is a member of the House Oversight and Government Reform Committee, said detailed metrics on the Afghan military are crucial to understanding the success of the mission. Lynch also complains that the military is making in-person oversight harder for members of Congress visiting Afghanistan, with greater restrictions on areas soldiers will secure to ensure safe travel. Lynch has visited Iraq and Afghanistan more than 20 times. On the trips, he visits infrastructure projects the United States is investing heavily in to ensure they are functioning, and questions contractors and members of the military about conditions on the ground. The Pentagon’s secrecy has extended beyond the Afghan military, making it more difficult for the public to find out precisely how many Americans are deployed there. Starting this year, the Pentagon stripped the number of US troops deployed to Afghanistan, Iraq, and Syria from quarterly reports available online. Members of the press can ask for the figures from Defense Department officials, but they are no longer publicly posted. The nation currently has about 14,000 military personnel in Afghanistan, according to a Defense Department spokesman, up from 9,000 in 2016. The Pentagon insists it is not trying to hide bad news out of Afghanistan. Army General John Nicholson, the commander of US forces in Afghanistan, has said the Afghan military data was classified at the request of Afghanistan’s president, Ashraf Ghani. 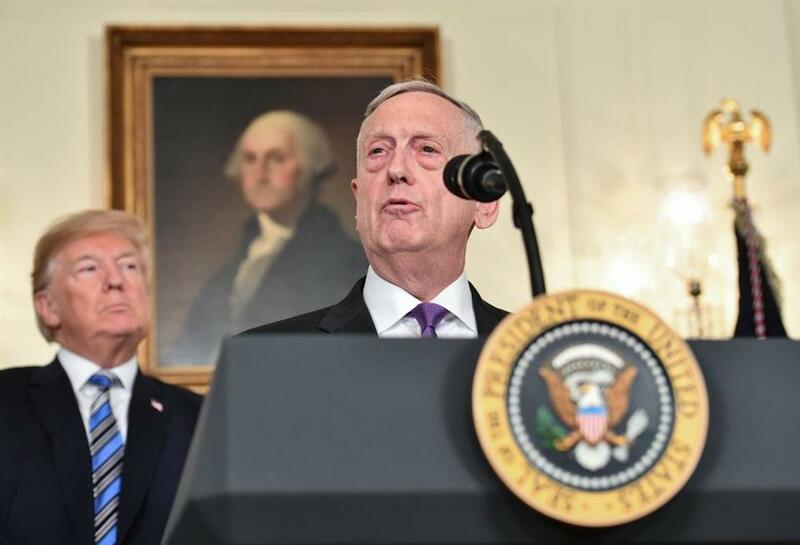 President Trump looked on as Defense Secretary James Mattis spoke at the White House in March. Defense Secretary James Mattis brushed off the shrinking Afghan military in testimony to senators last week, saying the United States is focusing on “quality not quantity” of the forces. But the combination of secrecy and the negative numbers that are trickling out are prompting fresh questions about the Trump administration’s strategy. Trump, like George W. Bush and Obama before him, is confronted with what his own commanders have called a stalemate in the region, where Taliban fighters continue to defy the Afghan government despite Washington pouring tens of billions of dollars into a reconstruction effort to prop up the local military. Obama increased US troop levels to more than 100,000 in a surge in 2010 and 2011, and cut them to less than 10,000 before he left office. The Taliban were beaten back to rural areas but successfully waited out the surge. It’s unclear how Trump’s sending a far more modest surge of a few thousand more troops now is expected to change the tide. The current strategy is to force the Taliban to the negotiating table, through training the Afghan military to the point of self-reliance and persuading Pakistan to crack down on insurgents. The Afghan government is in control of territory where 65 percent of the country’s population lives. The US military has set a goal of bumping that to 80 percent by the end of 2019. Representative Walter Jones, a Republican from North Carolina and a longtime member of the Armed Services Committee, said he feels as if he is hearing the same story in classified briefings from the Pentagon on Afghanistan that he did five years ago. “Nothing has changed since 2001 and all they’re trying to do is to keep the truth from the American people, and I think that’s wrong,” Jones said. Jones, once a gung-ho supporter of the war who led the charge to rename french fries “Freedom Fries” in the House cafeteria after France opposed the Iraq War, has since had a radical change of heart and is a vocal opponent of the continuing presence in Afghanistan. He has unsuccessfully pushed for the House to have a debate about withdrawal. “Congress just sits by like Nero watching Rome burn,” Jones said. Trump tweeted repeatedly before becoming president that the United States should get out of the war in Afghanistan, which he characterized as a “total disaster.” But once in office, his national security team presented him with the bleak prospect of withdrawing from the area and then watching the Taliban declare victory and endanger US allies. 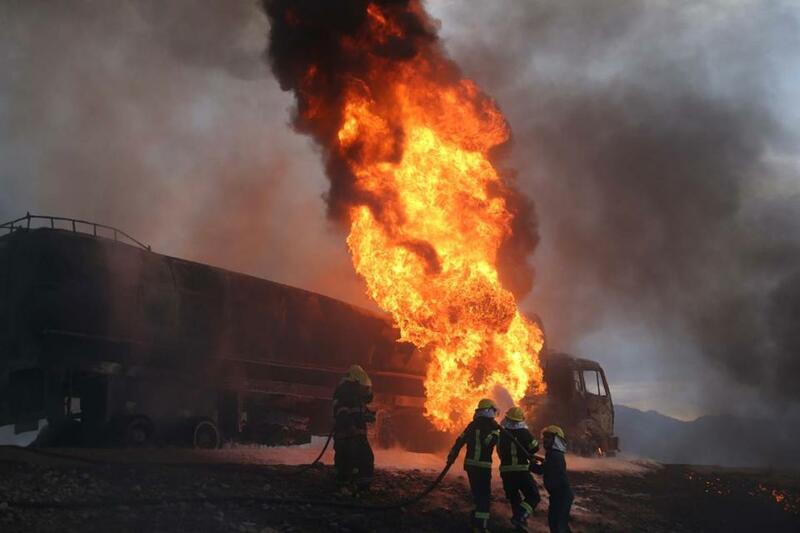 Firefighters in Nangarhar province, Afghanistan, battled flames after oil tankers were allegedly bombed by suspected militantsearlier this month. The many years of the US military engagement, the nearly $900 billion spent, and the lives lost — more than 2,400 American fatalities since 2001 — would look more like a tragic squander than the necessary response to the Sept. 11 attacks it was at the start. The chokehold on detailed Afghanistan information reflects Trump’s penchant for surprise in warfare. He refused to say how many additional troops he was sending to Afghanistan in August, saying “America’s enemies must never know our plans” and criticizing Obama for allowing the Taliban to wait him out by setting a withdrawal date of 2017 in advance. Even lawmakers were initially in the dark about the new plan. Senator John McCain of Arizona, the chairman of the Senate Armed Services Committee, held up key Defense Department nominations to pressure the Pentagon to release more information about their Afghanistan strategy last fall. He relented after Mattis held a private briefing for senators. The new strategy’s one year anniversary is approaching this summer, at which point restive lawmakers are likely to clamor for updates and assurances from the administration that progress is being made and a potential exit plan is laid out. “How long is this war going to go on with no resolution in sight?” said Representative Peter Welch, a Democrat from Vermont who is also on the Oversight Committee. Under occasionally pointed questioning last week in the Senate, Mattis conceded the mission of training Afghan troops under the mini-surge would take a while.